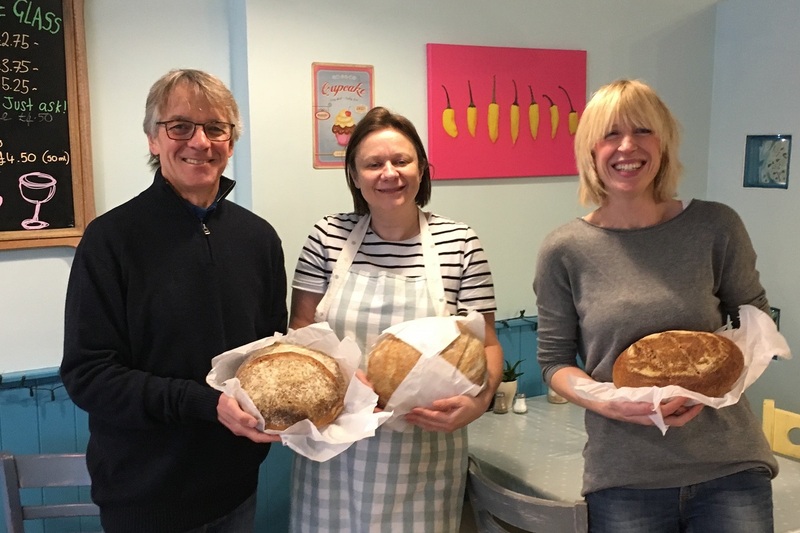 When we asked people what they got up to during Real Bread Week 2019, Steven Richardson took the opportunity to share the story of his Dorset microbakery so far. In mid-December 2018, I started Blandford Bread at home and have built up a small customer base, making bread for around a dozen people here in Blandford Forum. Most of them like a large, Tartine-style sourdough, though every now and then they throw me curve ball and ask for something like a plain white, or very heavily seeded. I have also have baked for local village fairs and I have been supplying Real Bread to Rebekah’s Kitchen, a café just ten minutes’ walk away, every week. I also baked as usual for my own regulars and so over the week I made around 15-20 loaves. The specials generated a lot of interest and café customers were asking to buy whole loaves, something I hadn’t quite reckoned on. My plan had been to take things slowly for a few months, build a small customer base and then, after a few months, see how I feel about expanding. As a bake-to-order business, I waste nothing as, almost without exception, people do buy what they order, and any surplus can be frozen. I have had requests to bake larger volumes, and some people are disappointed when I say that I only bake to order, rather than me baking loaves on spec in the hope that someone will come along and buy them. My regulars are happy to fit with my schedule, though, and I’m also a trainer in digital cartography, so I’m not looking for more work. Currently, the baking is fun, I’m learning new stuff and people in Blandford are getting to eat locally-baked sourdough made with Shipton Mill or Stoates flours. I bake using a domestic oven, the problem with moving to a Rofco oven, for example, would be that I would have to justify the cost. That said, I’m looking to extend what I do into social prescribing, working with a local general practice, where I’m a Health Champion under the Altogether Better banner, but finding a venue where people can get together to bake bread is proving problematic here in Blandford.